MetalRockNews: Slipknot's Corey Taylor about if N.W.A. belongs in Rock And Roll Hall Of Fame: "You're goddamn right they do"
Slipknot's Corey Taylor about if N.W.A. 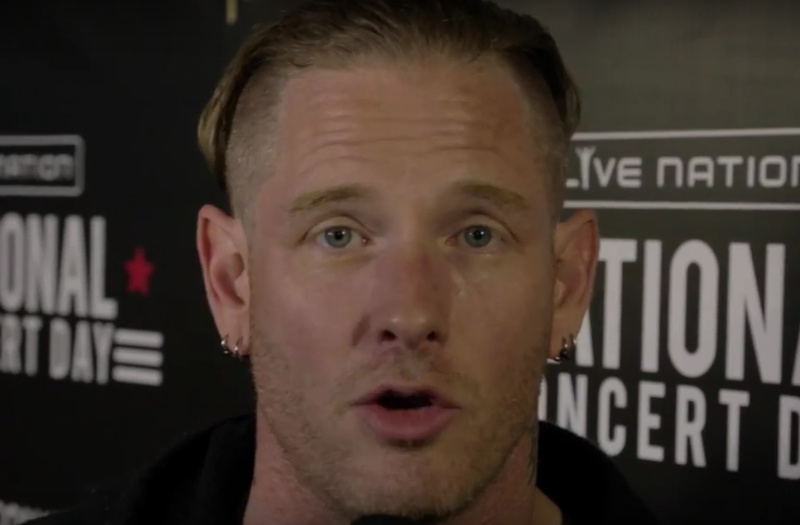 belongs in Rock And Roll Hall Of Fame: "You're goddamn right they do"
Slipknot and Stone Sour frontman Corey Taylor was recently interviewed by Loudwire Nights, you can read some excerpts below. About the recent comments Gene Simmons made about the Rock And Roll Hall Of Fame inducting rap artists, he responded: "I see what Gene's saying, and, you know, I'm old-school guy as well; I get it. But at the same time, the more I look at what N.W.A. did, man, I mean, they influenced me, and I'm a rock and roll guy. So how do they not deserve to be in there? To me, bands like that, bands like RUN–D.M.C., it's a different type of band, but it's a band, man. I mean, that's straight up. So I can see both sides of it." He continued: "I have bigger problems with the Hall Of Fame than some of the people who have gone in. Mine has more to do with the fact that until this year, Cheap Trick and Deep Purple weren't in. That, to me, is disrespectful on a whole other level. Does N.W.A. deserve to be in. You're goddamn right they do. But did Cheap Trick and Deep Purple deserve to be in years before they got in? You're damn right they did. So that whole organization needs to figure out who they're gonna honor and when, because there are still bands right now who aren't in that should be."